DAYTONA BEACH, Fla. (May 31, 2018) – NASCAR today announced that Gene Stefanyshyn will lead the sport’s international efforts as Senior Vice President and Chief International Officer, John Probst has been promoted to Vice President, Innovation and Racing Development, John Bobo has been promoted to Vice President, Racing Operations, and Scott Prime has been promoted to Vice President, Strategic Development. Stefanyshyn will be responsible for developing the racing product and brand across NASCAR’s international series in Canada, Mexico and Europe, as well as prospective new markets abroad. Stefanyshyn joined NASCAR in 2013 and has led efforts to innovate across all competition platforms. Prior to NASCAR, Stefanyshyn worked internationally in the automotive industry and brings extensive international business experience to the role. Stefanyshyn will continue to report into Steve O’Donnell, Executive Vice President and Chief Racing Development Officer. Probst will step into the key leadership role Stefanyshyn held the past five years and will be responsible for leading the sport’s efforts to continue to deliver strong racing at all levels of competition, as well as integrating innovation and technology across the sport’s at-track operations. Probst joined NASCAR in 2016 after over two decades of industry experience, including time with Ford Motor Company, Red Bull Racing and Chip Ganassi Racing. Probst will remain based out of the NASCAR R&D Center in Concord and will report directly into O’Donnell. Bobo will oversee racing operations across all national, touring and weekly series, as well as managing the American Medical Response (AMR) relationship and the sport’s drug testing program. 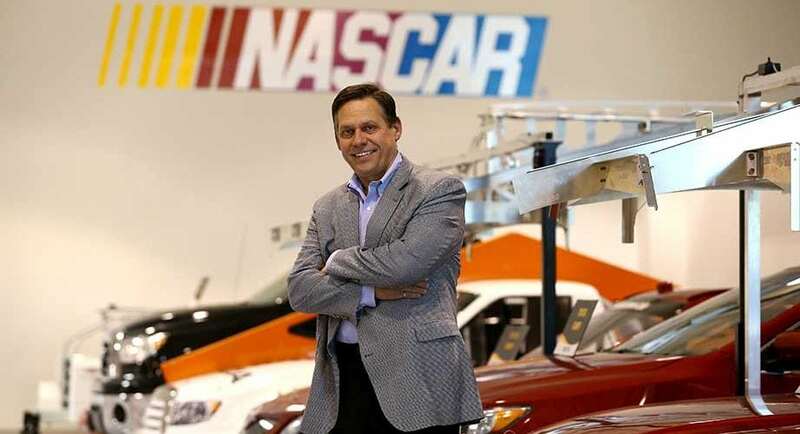 Bobo joined NASCAR in 2010 after two-decades of previous high-level experience in private, government and non-profit sectors. Most notably, he served as a state prosecutor, chief drug & alcohol policy advisor to the U.S. Secretary of Transportation and later head of U.S. DOT’s Research and Innovative Technology Administration. Bobo will remain based out of the NASCAR’s Daytona Beach, Florida headquarters and will report directly into O’Donnell. Prime will oversee key strategic initiatives and development of key new business platforms for the sport, as well as managing the industry council framework across the sport’s main stakeholders. Prime joined NASCAR in 2015 after a decade-long career driving strategy at McKinsey & Company, the National Basketball Association and Mercer Management Consulting. Prime will remain based out of NASCAR’s New York offices and will report directly into Steve Phelps, Chief Operating Officer.